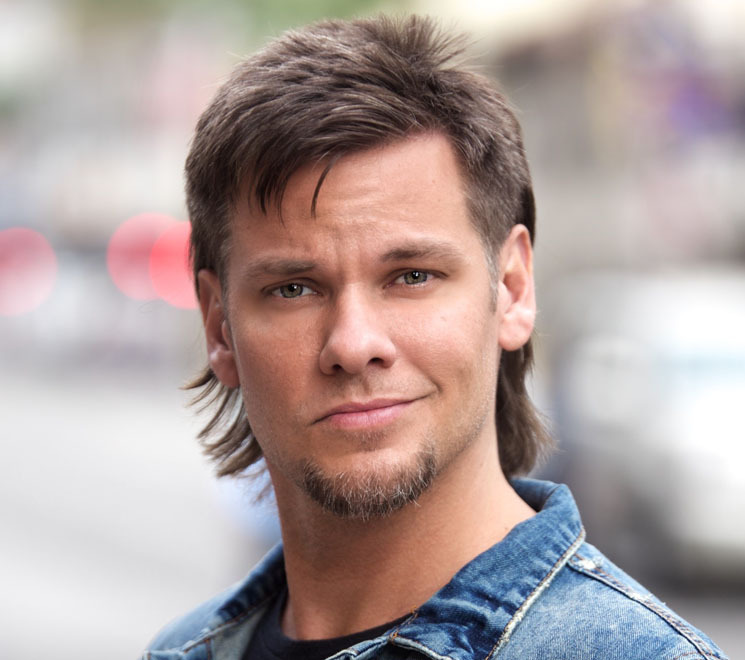 Theo Von looks like the kind of guy who was born wearing a coonskin hat. Maybe it's because he's a self-proclaimed redneck. Maybe it's because he has crazy legends to tell about people like Gert, a double-arm amputee who would choke people with only his own neck. Most likely, it's because Von proudly sports a mullet that already kind of looks like a dead animal. In any case, Von is a loose cannon and you can't predict what outlandish tale is going to come out of his mouth next. During his show, Von's priority was to cater to his fans. Audience members yelled out questions related to his podcast during pauses in the performance, and several minutes were spent exploring a series of references that new or casual fans had no context for. Having said that, most of the show was fun for everyone. Von's opening line about how the audience was a dangerously large congregation of white people started things off with a bang, then he ran through countless stories from his childhood that were simultaneously too strange to be true, but too specific and detailed to be made up. How much exaggeration went into his act was anybody's guess, but it was all savagely compelling. Theo Von's opener wasn't nearly as rugged, but she was very funny in her own style. Modest but delightfully clever, Nour Hadidi got solid laughs with her comedy about being Jordanian, how Cleveland is like the unplanned mistake baby made by Detroit and Hamilton, and how Jordan sounds like the Land of Michael Jordan. In addition to her sharply written material, Hadidi stretched beyond her nerdy persona to do some crowd work about being robbed with effortless confidence and a few quick, on-the-spot quips.